think loud: Are you satisfied with what you got ? A reader's mail and my reply. (Entavedu) -- I was wondering whether you consulted sound experts to check as to fix the "noise" in the music.... If it's technically possible, I would like to try it myself -- in the near future. I salute you for taking this cause to serve humanity-- I hope to get called for service one day... I think you are very fortunate to find your calling (many of us keep looking- may be not trying hard enough). Thank you again for being there. I simply love your blog. I started this blog in 2008, when I do not know any thing much about computer. As I was posting or tried to post every day, I learned a lot by err and learn method. Thanks to my son, and my cousin's daughter who are computer professional, I could learn a lot and make this blog presentable. Then at the age of 67 I went to an institute and learnt photo shop and Sound forge mainly to edit the concerts. Do you know, how many hours it takes for a LKG in computer to tag a concert and split the songs in the concert and then to upload to mediafire and then to the blog with a photo (if necessary done in photo shop)? Apart from that many concerts of old stalwarts were recorded on those days without proper equipments. I do not have the expertise to remove the disturbances. With my limited knowledge when I do that we may lose the continuation of the song. Even now a days, there is lot of disturbances in concerts, People give least respect either to the art or to artistes and a carnatic music concert is a pathetic scene. People come as and when they want and leave as and when they feel like, moving around making noices, talking all the stories with their relatives or friends as though they meet after a long time. There are people who come to concerts to talk various matters. They drag the chairs with maximum noice, cough, sneeze and what not, apart from eating by making noises. Now a days I hate to go to concerts since I am not able to tolerate these disturbances. I will be very glad if you could do that and send it to me, so that I can repost them with perfection. There are millions who downloaded these songs, and many may be professionally equipped to perfect them but no body bothered to offer their services. Or they might have done it and kept for themselves without bothering to share. I am trying my level best to present as best as possible and if there is still any lacuna, I am helpless because of the constraint of my time, age and energy etc. I am a heart patient in extended life with "sorbitrate" always in my pocket and an oxygen cylinder by the side of my working table. Hope you will appreciate my interest in sharing and pardon my inefficiency. Very enjoyable blog. Great uploads. I find 'Goldwave' a good software for cleaning up audio recordings but then, I only use it to remove hiss/crackling from the recording, occasionally even balance the 2 channels, if I find that accompanists drown out the main artist. 'TagScanner' is a useful software for editing the tags. 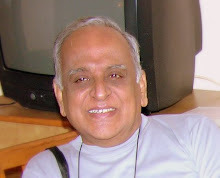 My grandfather has seen Mani Iyer in person. Wonderful service, Sir ! Hats off to You ! I will put my time and energy to find some noise removing software. Besides that, people are really annoying in concerts. So insensitive, I find the youngsters better behaved. Its the older people who make much of the whispers to what i have seen. I also find Shishyas dancing behind the main artist very annoying for every line their guru sings. Pray god throws some sense there as well. Wonder Service, Sir ! Hats off to you!